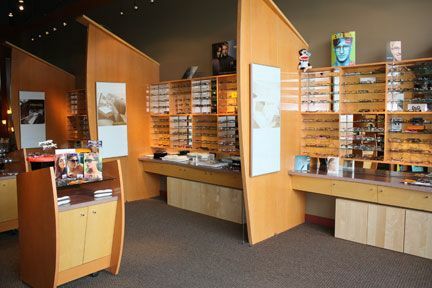 Focus West is a full service optometric office designed to meet both your eye health and eyewear requirements. Our highly trained staff is ready to assist you, taking the time to discuss how different lens selections and frame styles will impact your vision. Our lens technicians can take the confusion out of which lenses are right for your lifestyle. From sport-specific glasses to astigmatism contacts, you’ll find exactly what you need. If you’re looking for something fashion-forward, we carry designer frames in a wide range of styles; there’s something for everyone!